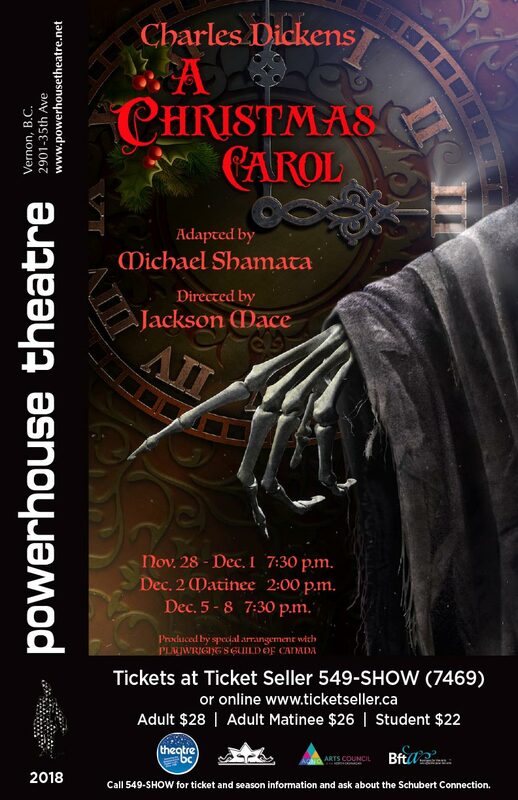 Powerhouse Theatre celebrates the mystery, magic and miracle of Dickens’ classic tale of transformation! It’s Christmas Eve and miserly Ebenezer Scrooge gets the wake-up call of a lifetime when four ghosts descend upon him and take him on a life-changing ride on the road to humanity. Set in Dickensian London, travel with Scrooge on his haunting journey through the past, present and future. Hear ye! Come one, come all and share the heart-warming joy of this perennial masterpiece!